Pope Francis celebrates the closing Mass of the Synod of Bishops on the family in 2015 in St. Peter’s Basilica at the Vatican. A synod, in its most basic sense, is a way for bishops to come together to deliberate on matters of shared concern. (CNS photo/Paul Haring) See MAIN Aug. 23, 2018. The topic of “synodality” has generated rich conversation in recent years, especially since the election of Pope Francis. This term can seem foreign or technical, but in reality it refers to a practice that is both ancient and fundamental to the church’s life. The word “synod” comes from the Greek, “synodos,” which can be rendered as “traveling on a journey together” (“syn” means same, “hodos” means road or way). A synod of bishops, in its most basic sense, is a way for bishops to come together to deliberate on matters of shared concern. These meetings have been common throughout the Christian tradition; in fact, many critical debates about Christian teaching and practices were settled at such gatherings. The practice of bishops gathering to discuss doctrinal, disciplinary and pastoral issues shows that Christian communities recognize bishops as not only leaders of their diocese but also as having responsibility for guiding the church as a whole. Pope Paul VI renewed this ancient practice in 1965 by establishing the world Synod of Bishops. His hope was to provide a means of continuing the spirit of collegiality and communion that was present during the bishops’ collaboration at the Second Vatican Council. Today, synodality typically refers to the role that groups of bishops play in the governance of the universal church. The function of a synod is generally consultative rather than deliberative; its purpose is to advise the pope and, more broadly, to foster closer unity between the Roman pontiff and bishops. Recent synods have addressed topics including the new evangelization, family life and the role of the laity. “It is a mutual listening in which everyone has something to learn. The faithful people, the college of bishops, the bishop of Rome: all listening to each other, and all listening to the Holy Spirit, the ‘Sprit of truth,’ (Jn 14:17) in order to know what he ‘says to the churches'” (Rv 2:7). Pope Francis’ commitment to synodality is rooted in a sense that this type of collaboration gives important expression to the church’s life as a communion where all the faithful play an important part. The gathering of bishops at a synod is a concrete manifestation of the reality that the church exists as a communion of local churches. In the opening address at his first synod, Pope Francis urged the bishops to speak freely and prayed that they might receive the gift of “parrhesia” (openness). Thus, Pope Francis has stressed that he wants synods to be places where the bishops prayerfully discern the needs of the church, not one where they merely “rubber stamp” a predetermined set of teachings or actions. This topic is undoubtedly a vital one in our world today. The urgency of the questions to be addressed by the bishops demonstrates that Rome is listening to the lived experience of the faithful and seeks to reduce the distance between itself and the local churches. Synods are important because they are a special way that the church listens to the faithful, to the world and to the dynamic presence of the Holy Spirit. It is a concrete representation of the fact that we are a global church that must “walk together” as local expressions of a united whole. Synods invite us to learn from witnesses from across the globe about their experience of, and responses to, shared concerns related to living and teaching the Gospel. When these diverse witnesses gather, amazing things can happen. We see evidence of this from the earliest days of Christianity, all the way back to the New Testament. We should pray for the work of a synod, follow its proceedings and participate in conversations on its theme in our local communities; the gathering is meant to involve all of the faithful. Walking together can be challenging as the way forward is not always clear. 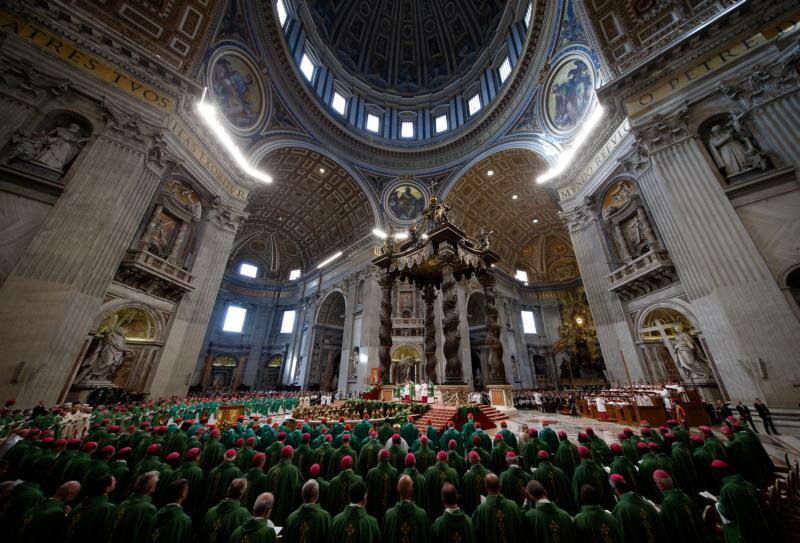 NEXT: What is a synod of bishops?